We pledged for The Weekend Press's Oakland Illustration Project on Kickstarter and received this awesome kit! 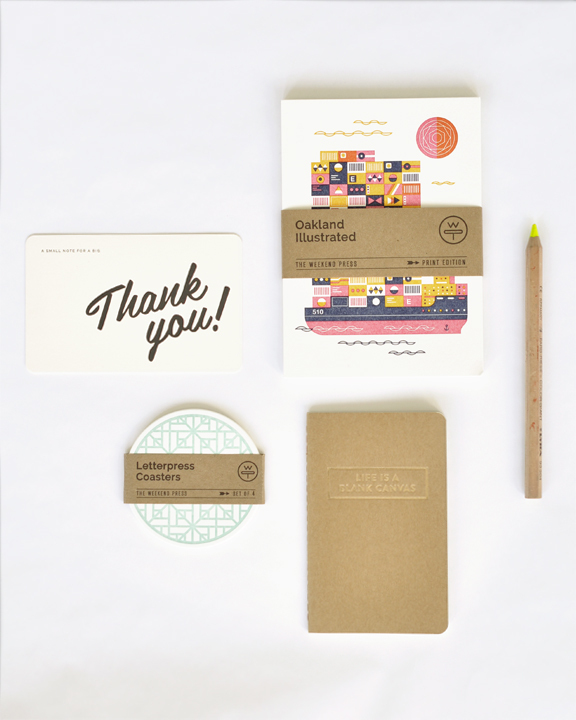 A pocket notebook, letterpress coasters, one postcard, and 10 original prints! 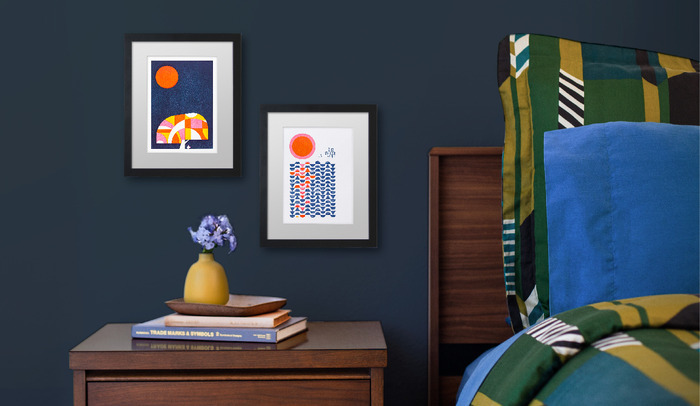 We are extra excited and a wee bit sentimental over this project because these prints were created with our very own Original Heidelberg Press that we sold to them when we closed up shop in SF. Not only that, but one of our lovely designers Anna Hurley moved on to collaborate with them! We are incredibly supportive of this project not only because of our connection, but because it's a community project that uses a traditional form of craftsmanship, letterpress- our one true love. Learn more about the project here! Here are a few of the prints we received. Styled and shot below by The Weekend Press. Tree! Winner of a one-year subscription! and Miranda Bialk! Winner of a two-month subscription! We'll be in touch with you both soon. Thanks again to everyone who participated! Stay tuned on our blog for more awesome giveaways. Mark your calendars! This Thursday, December 13th Eunice and Sabrina are hosting a festive and crafty workshop at the Contemporary Jewish Museum. The CJM is known for their fabulous events and spectacular space, so we can't wait to get involved. 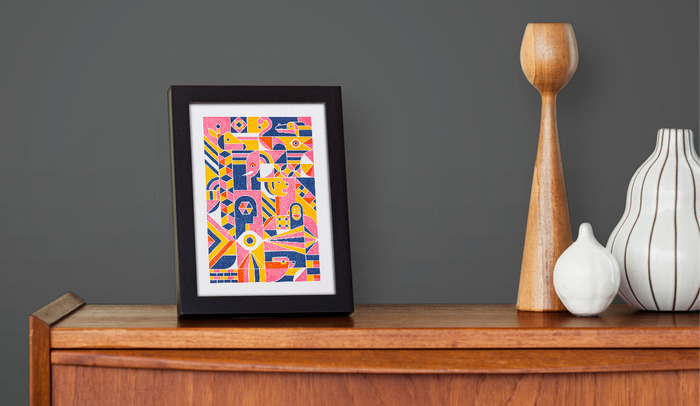 We'll be offering one-of-a-kind letterpress goodies to design and decorate your very own paper frames. Along with our craft activity, you can tour their new exhibition The Radical Camera: New York's Photo League and get tickets to hear the soothing sounds of the Conspiracy of Beards. Tickets for the event are free for members, or $5 for visitors. The event is from 6-8pm at the Contemporary Jewish Museum, 736 Mission Street in San Francisco. For more information, follow this link. Hope to see you there! We're thrilled to announce the next edition of Pin it to Win it! This time we're giving away a box set of letterpress holiday cards! Our letterpress cards are printed on a vintage press on 100% recycled paper, and in festive color palettes perfect for sending holiday cheer. To play, just pin any box set from this page of our website or an image from this blog post. Once you have pinned your image, leave a comment below this post with the URL to your pin so we can check it out. Just like last time we’ll randomly pick one lucky person to win a free box set of 6 cards. We’ll announce the winner on Friday, December 14th. **A winner has been chosen and contacted via email. Thanks for participating and stay tuned for more Pin It to Win It giveaways! Have you heard the news? SFMade is expanding their pop-up shops in Banana Republic stores across the country! Last year's Banana Republic pop-up shop in San Francisco was an enormous success, so debuting our products in stores in Los Angeles, Chicago, and New York is icing on the cake. If you live in Los Angeles, the Banana Republic located on the 3rd Street Promenade (Santa Monica) and will feature our Happy Holidays from Los Angeles letterpress cards, among others. In New York, we're showcasing our Happy Holidays from New York cards at the Rockefeller Center location. And in Chicago visit the store on Michigan Avenue to get your hands on our Happy Holidays from Chicago letterpress cards. Of course, you can find our Happy Holidays from San Francisco cards at the Banana Republic location in San Francisco on Grant. Here is a sneak peek into the shop at the Los Angeles Banana Republic! And here's a look into the New York City location! To our readers nearby and our readers far away, we encourage you to shop local this holiday season, and if you can, shop SFMade! Mark your calendars! We're opening up our studio and pressroom to the public once again. Sunday, November 4th our doors will be open from 11:30am - 2pm. Our presses will be running, and just like last time you can try your hand at letterpress and crank one of your very own holiday cards. We'll also have some great deals on cards, gifts, prints and wrapping paper. So if you're in the Bay Area come visit us and see the inner workings of our studio! This is a free event and all are welcome! Bring your friends! And help spread the word by sharing our Facebook event page here. Address: 977 Howard street between 5th & 6th, San Francisco. Our doors will be open from 11:30am - 2pm on Sunday, November 4th. Way back in July we were busy printing our new letterpress holiday greeting cards and we're so excited to finally reveal them! Some of our most popular holiday cards have been from our visit series and we couldn't wait to add more cities to the collection this year. Happy Holidays from Texas, Washington, D.C, and Seattle are the newest members to the letterpress card family, and thanks to the Lab Partners for their dedication and expert design skills, we're certain they will be a hit. We also have the new Christmas Parade, New Year's Eve, and Toys Under the Tree, photographed with some best sellers from last year (Good Times by Office of Nature, Paper Chains by Debbie Powell). Click here to see all of our Holiday cards! Hello all you letterpress lovers! 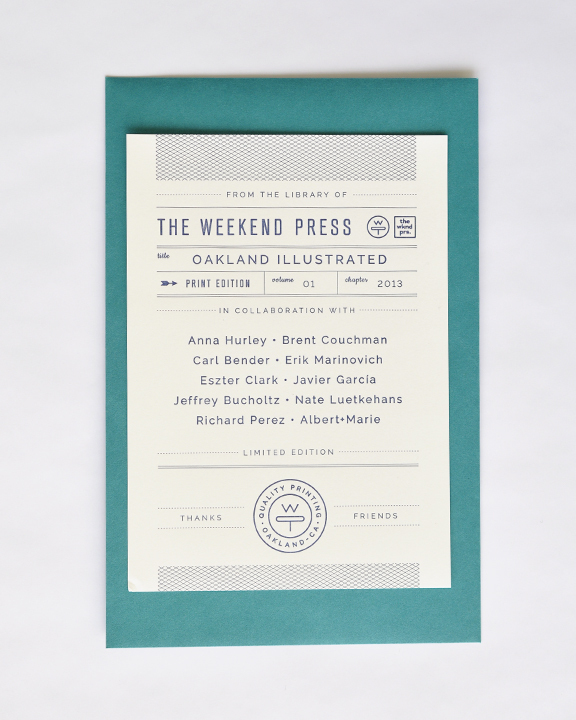 We're super excited to welcome a new member of the San Francisco letterpress family, Western Editions. Started by two fabulous printmakers Erin and Taylor, Western Editions is a local print studio dedicated to providing public workshops and tutorials of the craft of letterpress, and they need your help. They have created a Kickstarter Project in hopes to raise money and support for their new endeavors, and even a dollar helps. If you live in the bay area and have an interest in learning letterpress, or just want to support young artists, send them some love. They've even got some amazing rewards in the mix. There are only 5 more days to donate so be sure to head over to their site now! Donate to Western Editions Kickstarter project here!